Good thoughts to ponder. If you look at old photos .... 100 years ago ... horses did not look like today's horses, so commercial feeds have definitely changed things a bit, of course now horses are bathed and clipped also which also alters appearances. But if you look at necks and back topline on horses years ago, there is a big difference. Either I haven't been looking or Broom Corn seed is not common in California. There is a grass here that is called "Johnson Grass" which I am told is a type of Sorghum. Goats prefer more of a woody brush type habitat than sheep. My goats will eat roses, thistles, poison oak, fruit trees, pine trees, tree trees, BTW did I mention they like to eat trees? Making and/or producing your own animal feed is indeed a complicated subject. I have always wanted to mix my own chicken feed, but finding the right mix and then sources for the ingredients seems so overwhelming. It sounds like you are making your way slowly but surely, which is admirable. When you say, black oil sunflower seeds, is that the variety? If so, where do you get yours. If not, what variety do you plant? The only critters we have are eight laying hens and a cat which has adopted us. You are more ambitious than we are, but I admire that quality in you and love to read all about what you're doing. We do buy oyster shell and am curious about crushing up egg shells to supplement. Being basically a city girl, I've always thought we should stay away from feeding them egg shells because they would get into cracking the eggs themselves. But when I think of that, it's probably a far stretch for a chicken brain to figure out they are one in the same! Brian and I had a very similar conversation today (as a train rolled by loaded down with tons of coal) about how science has ruined the "simple life". I was going to suggest mangels, but you have that one. Comfrey is a permaculture plant that pulls minerals deep out of the ground and makes them more available for other plants- I would guess comfrey to be great for goats. On the subject of jerusalem artichokes or 'sunchokes'- they're a member of the helianthus family, which is the same family that sunflowers are in- they took will spout new plants from broken pieces of root, so put them out away from your garden, just in case. We currently don't have animals but plan on keeping chickens and goats as soon as we have land space. I believe that to truly be self sufficient we must grow our animals food. I'm so glad you posted this information and will be anxious to see any further research that you do in the future. I wonder too how "malnourished" animals were years ago before the manufacturing of feed. Sometimes I think research studies can be tweeked to get the results that the study sponsor hopes to get. I'm rambling but just wanted to let you know that I found your posting helpful. Oh, I hear you, Leigh! I've been researching chicken feed for months and am still pretty baffled. One book I read said to not even bother thinking of growing your own feed, as the ratios are so complicated (not sure I buy that, though). I still think the best thing to do is have good pasture (for both the goats and chickens) and let them forage as much as possible. Nature is much wiser than we are! We only feed our goats grass hay when the snow makes it impossible for them to forage, and we rotate them between 2 pastures once or twice each year. They're pygmies, and do wonderfully without any grain. None of them are in milk, however, so they don't seem to need anything "extra" from us. We feed our dogs raw food (another animal feeding controversy!) and this philosophy has at its heart the "balance over time" concept, meaning they don't need a complete balanced diet every single day, so long as they get what they need over time. I think one major issue is that most of these animals foraged over many miles prior to our domestication of them. Hence the question of what we need to supplement their diets with to compensate for smaller living environments. I find this all very fascinating and a bit daunting, too! Thanks for the discussion. Tombstone Livestock, I got my broom corn seed from Baker Creek Heirloom Seeds. They have a good selection of sorghum seed including broom corn. I've heard of Johnson grass, but don't know much about it. It is listed in the feed charts under hay, in Raising Goats The Modern Way. My goats love all the forage you mention! Candace, I've not found black oil sunflowers in any seed catalog, but it's the same stuff sold as wild bird seed in any garden department. It's a softer shelled seed, so it doesn't need to be threshed, just fed shell and all. Chickens and goats love them! They are rich in good oils as well. I just planted the seeds I bought for bird feed. Janice, there's different opinions about feeding those egg shells and egg eating chickens. The reason for drying and crushing finely, is so that they don't look like eggs anymore! My chickens really go for them. Ginny, I've been experimenting with broccoli leaves for us to eat too! Actually, I had a frugal friend who saved all her broccoli stems, creamed them in the blender, and used them as a base for broccoli soup. Stay @ Home-Gardener, I'm beginning to think everything is over-hyped, LOL. I read Diet For A Small Planet eons ago, and have followed those principals for meatless meals ever since. My DH and I were talking tonight, about just what you're saying in your comment. Mostly I judge my animals health by how they look, how they act, their coat, feathers, weight, etc. I think knowing one's animals and paying attention is key to keeping them healthy. I did price rock dust when we first got our big garden going. Not cheap! Not around here anyway. That would be an excellent way to go however. And I agree, our nutrient should come from our food, through healthy soils. 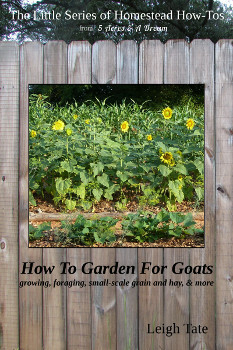 Yes, comfrey is excellent for goats for the very reason you mention. I've ordered 25 more crowns, in hopes of eventually having enough for a winter's supply. I follow Nita's blog and have learned a lot from her. I agree her experience is invaluable. RaShell, I agree that this is truly part of being self sufficient. I think part of the problem with research, is that it is usually done by, or funded by, those who have the most to gain by commercially favorable outcomes. Another problem I think, is that there is a basic human arrogance that thinks it can do better than nature! Theresa, you're hitting the nail on the head. I think too, that's why the heritage breeds are so valuable. I agree about a good mineral supplement. That's one thing I always plan to buy, unless I can ever somehow add these things to my soil in useful quantities. Jaime, that's exactly how I started! With a poultry book that convinced me it's impossible to do. One thing I realized though, is that they were addressing commercial chicken concerns, where chickens spend their entire lives in cages. Free range chickens are able to forage a lot for themselves! There's a difference. I find I'm mostly supplementing their natural diet, except in winter, when there's not as much for them to find on their own. Interesting you mention the "balance over time" concept. Really, that's what seasonal eating is all about. I think too, that in breeding animals for specific production qualities like egg, meat, milk, we have caused them to need more nutrient dense diets. Seems getting back to more natural breeds (heritage) as well as a more natural diet is important for success. We're exploring a parallel issue in our aquaponics ventures right now. What to feed fish that we plan on eating when the commercially available feed is full of GMO soy and corn and ocean derived fish meal. Studies have shown that what goes in equals what comes out - you can't feed a diet full of corn and soy and expect a heart healthy fish. In order to get the right omega 3 fatty acids in fish you have to feed them a diet rich in omega 3 from either fish meal (problematic because overfishing is such an issue) or from plant sources, mainly algae or other aquatic plant species. So keep up with the discussion - so much of it crosses over to other areas of study and I think it definitely corresponds well to our human diets as well! If only everyone planned their diets so carefully we would have so many less diet related diseases. I had no idea. I wonder if your goats realize how lucky they are that you put so much effort into their feed? Molly, interesting comment. Fishmeal is a common element in chicken feed and cat food. I'm wondering now, if the fish aren't genetically modified too. Is there any way you can incorporate flax seed into their diets as a source of omega 3? Benita, neither did I until I started researching this stuff. I doubt the goats care though, as long as their full! You are welcome! I will stop back. I feed your blog into mine! I've had feed issues with my rabbits and dog too. But I've found with the rabbits that a lot of the controversy is in that the majority of feed producers are looking at the 4H rabbit raisers (same issue with finding a good rabbit vet) as their main client so they go with a high protein diet...well too much protein is hard on the kidneys and these poor rabbits die young from kidney trouble. Alfalfa is good for kits because they need to grow fast, but once they reach a year of age it is time to switch to timothy hay so that their kidneys don't get overloaded. With the dog, most commercial diets include a lot of corn meal. Cheap and easy to produce but dogs can't digest corn! So it's like feeding infants rice and wheat cereal...you're just putting something in their tummies that has no nutritional value at all. My mother gets after me for feeding my dog "human food" because she reads all the reports about how it's bad for dogs. I've done a bit more research and I'm going off what a wolf would eat in the wild. True in the wild a wolf wouldn't have access to cooked food with salt added, but they sure wouldn't be eating corn & bone meal covered in chicken fat. How wonderfully helpful! I only have chickens. I've been trying to grow more and more for them but have only succeeded in growing sunflowers and various greens. They love the borage and nasturtium which I like because they reseed themselves and grow here (in California) overwinter. Thanks for the tip on deseeding sunflowers! Fascinating topic and blog! I don't have "critters" except for 2 dogs and I'd like to get them off commercial dog food also. But right now I need to get my seeds ordered/started! I'm a follower now! I' trying to sell my house so I can get my little farm before I'm too old to farm it! LOL! BTW...I love wool! I do rugs, felting, applique, knitting and crocheting. I haven't started spinning but I've rubbed elbows with some! Ha! Ha! Thanks for sharing your thoughts and information. And the wonderful comments also. Renee, interesting about the rabbits. I recall trying to avoid alfalfa when I had mine too. It's true about pet foods, though I'm beginning to see some here and there without corn or soy. But are they ever expensive! Cheaper to by cheap cuts of meat for pets. Sam I Am, thank you so much for your kind compliment. Good luck in selling your house! Sounds like you have a good plan ahead of you. A warning about spinning however, it's addictive! We are finally at a point where about 50%, closer to 60% during the warm months, of what we feed our chickens comes from our own property. Every couple days I steam and then grind potatoes, carrots, beets, parsnips, squash, apples (raw), and any extra greens (raw) I can come up with for our chickens. This is doled out to our hens every evening. I also provide them with alfalfa hay...that we still have to purchase. Our eventual goal is to be 100% self sufficient in this area but it is going to be a while before I get there. I love that you are thinking about comfrey the same way as we are. I grew it for the first time last year and fed it to the chickens off and on all summer. Eventually I hope to grow enough to dry it and other greens (like clover) to replace the hay that we buy for them. I'm not sure that chickens really need to eat grain at all??? But until I am able to grow enough veggies and/or my own grains we will still be at the mercy of feed companies. One other thing that I have been contemplating is that of growing small seeded sunflowers for the birds to eat...maybe. Smaller hens too, our leghorns each less than the other birds while laying just as many if not more eggs. So glad you are experimenting with this so I can learn what is working for you. Very good post. I'm looking at trying to plant something that works as #1 forage for the chicken range lots and #2 I can harvest as you have with a scythe. Yep, I'm still trying to sort out the protein problem. Going by things I've seen online, practically every grain is deficient in protein for chickens except for soy, but then there is lysozine or something that soy doesn't have so the mixes get it from something else. I'm not really interested in growing soy. So, since January really REALLY feels like March I tilled up a part of a hay field and sowed wheat. I guess this would be considered spring wheat and if it sprouts and the deer to totally wipe it out I'll have a couple pounds next fall to show for the few that I put in this spring. But it isn't enough. Each chicken seems to take about a pound of scratch a month, and maybe two pounds of the laying feed. So for my thirty chickens I'm looking at the rather boggling idea of growing and harvesting a couple hundred pounds of corn and wheat (in scratch alone). I haven't heard before that corn was not digestible by goats. Simply, that is not my experience. When I was in third grade mom got two goats, a nubian and a spanish brush goat. They each had two kids. Then we sold the nubian momma at one point. One of the kids died from corn cobs, which, when moldy, the mold can enter the bloodstream of the animal through any cuts in the mouth and cause death within a short period of time. So, please don't give the goats old corn stalks! The remaining four animals all lived over 14 years and the original brush goat and one of her kids lived to 18. They all got scoops of sweet goat feed (southern states) daily along with a slice each of bread we'd get from the day-old bakery and a handful or corn as a treat. During the winter we gave them hay I cut with a walk-behind sickle bar the previous summer. I would put up the equivalent of four square bales of hay that way. During the summer they just grazed the meadow. They frequently would not entirely finish the sweet goat feed but they would clean out any cracked corn. During the winter they would get more corn, a little less than a hundred pounds a month(so about 20 lbs per goat per month). Being on pretty familiar terms with goat pellets, I can say that I never did notice a pellet with visible remains of cracked corn in it. The goats were all fat and happy the entire 14-18 years until their teeth wore out. Now, that did lead to weight loss and we eventually had to put them down. I never did feed them whole corn though, and maybe that's what you're referring to. We were concerned more about it being a choking hazard. But maybe once the endosperm is penetrated it allows the stomach enzymes to finish the job. Now, that being said, I agree, corn is not very nutritious compared to other things. Kind of like eating twinkies. But in the winter when there is a lot of calorie burn off due to sub 20F temperatures I think corn is a perfectly acceptable feed additive. And well, considering my own setup, they had enough summer forage that we didn't have to feed much at all in the summer. They would much prefer locust saplings. They'll debark a fresh cut locust sapling in an hour. Something about that tree species really gets the goats excited. I miss the old girls. The 30 chickens are now in place where the goats had been. That crowd appears to want more range that the goats ever did. Hence my large acquisitions of welded wire and metal t-posts lately. ha ha ha. I don't think the issue is that we have new breeds of animals, but that we are trying to keep animals on an area that cannot naturally support the number of animals we want to keep. I think I've mentioned before that I grew up on a farm in Africa? My parents still live on the farm and we have sheep and used to have goats. They are all free range and for the most part don't get any supplements. The exception is if we have a drought, or lambs that need to be fattened for market. But all the flock ewes just roam. We used to have boer goats and they like brush and just roamed around. We do grow a little bit of alfalfa pasture for the sheep, but this is not a significant amount. But the thing is that we have a 5,000+ acre farm, so they can get enough food just from roaming. For our chickens we grow oats, which we then mix with some corn. The chickens also get to roam, but not everyday and need to stay in the at night because of wild animals. They also get kitchen scraps. I think if your animals get to roam and can get a significant amount of their food from that, you don't have to worry so much about what you supplement it with. Where it gets really complicated is if you want to "artificially" supply all their food. In you situation you can probably keep it pretty simple. Mr H, very interesting about feeding your chickens. Sad we're all in the same boat regarding having to rely on the feed companies until we get our feed regime figured out and producing a year's worth. I'll have to try offering comfrey to my chickens again. Last summer, no one was interested. This year's chicks though, are different in what they'll eat, which is a good thing! I hope you blog about your progress in this area. Andrew, trying to figure out protein is a challenge! I really like your plan though. Ellen, thanks. I ordered my Mennonite sorghum seed from Baker Creek Heritage Seeds. They have a good selection. Cecilia, that would be so ideal and I agree would solve a lot of the feed questions and problems I have. Our place had been neglected for so many years, that the grazing and forage here aren't all that great. I'm hoping that as we improve the soil and improve what we grow, I'll have to rely less on something like a grain mix, except during lactation, when goats are most commonly fed grains. I'll have to see what my chickens think about oats. I've got a small plot picked out to try and grow some oats this year. Sue, that's probably why no one grows it around here. It's too expensive to buy in bales, which is why I'm hoping to increase my comfrey garden this year. I do buy the alfalfa pellets, because they eat those down without waste, unlike hay! Anonymous, rest assured we have neither Johnson grass, nor horses. I know this is a late comment, but the question about feed always goes back to "what did they have in their natural state"? Have you thought about sprouted grains? I noticed no one mentioned it, but it is a very viable option. 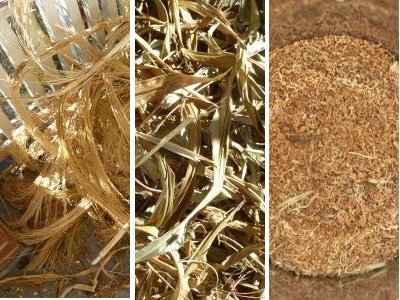 Google sprouted grains for livestock and you'll be amazed. 6-7 days to grow high protein, 80% digest able feed. Cheap and easy. Just my two cents. Good luck. 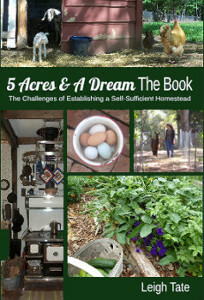 I was doing some research about growing food to feed my goats and other livestock when I came upon your blog. I too am in the same situation. In my case this last fall and winter I have been feeding my animal on my own instead of relying on the feed store. This is important if one is to be self sufficient. The feed store is no different then the grocery store, what are you going to do if there is no grain to buy at the store? Also the grain that they are selling for animals is GMO. If a person doesn't what to eat that from grocery store food why would you allow that in your animal feed when you depend on your animals as your food source. I don't want GMO on my farm in my food supply, it is one of the reason I raise my own food. Anyway I have found this year my animals are healthier then they have ever been. I have been feeding my goat cuttings from the hedge growth around our property, honey suckle vines, rose leaves from cuttings, etc. I give them Diatomaceous earth, organic apple cider vinegar mixed with organic black strap molasses. We also cut our own hay. Sunflower plants and seeds - my goodness they love eating sunflowers stalks and all! Yes, they love sprouts, wheatgrass and other grain sprouts. I doing alot of sprouting this winter. For us and the livestock. This has been the best year for my ducks and chickens. My birds are full feathered and viberant. The commercial feed is no different then feeding your pet dog commercial dog food. The quality is poor no matter how slick the advertising. I will not put my trust and health into the hands of commercial growers. I allow myself some inconvenience in order to ensure premium health for all on our homestead. Sprouts are a powerhouse of nutrition - they provide lots of calcium, proteins other nutrients. They are supper easy to grow and grow very fast. If there were a drought or if you cannot afford feed, you could keep your animals alive and in good health with sprouts. Also, the very land we are standing on is full of good things for our animals to eat. When I let my goats out they find all sorts of tasty shrubs and such to eat. They like oak leaves almost as much as sunflowers! Our lands are fill with natural food resources. We have just been conditioned to buying everything. We have Madison Avenue to thank for the brain washing. Shaolin, thank you for your interesting comment. I love reading the ideas and experiences of those with similar goals. I'm especially glad to hear you've done well with the sprouts. Sprouts are on my list of things to do when the weather gets warmer. I'm going to try the method from Land of Havilah Farm. Soon we'll have year round pasture/forage for our goats and chickens too (one of the blessings of living in a climate with fairly mild winters.) It's a goal that takes study, work, and a routine, but like you, the health I see in my animals makes it all worth it. What about raising your own mealworms as a source of protein for your chickens? 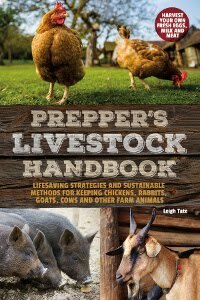 You have to have a lot (tens of thousands, from what I've read) to have enough to raise as well as enough to be a good percentage of protein for your birds. They need to be raised indoors but can be fed on carrots and bread crusts. It takes 4 months for them to get to adulthood and start reproducing. You do need to start them out in the beginning with oat or wheat bran. Since they're indoors they don't take up space in a garden. I was wondering what your chicken breed is of the chicken in the photo up top with the second chicken and goats in the background. I have one that looks the same and can't figure out what breed she is. Hoping you might know!!!!!?!!!! Thank you so much, spot on!! We rinse our eggshells and put them in a ziploc in the freezer until we have enough to bring out the blender (we use a small, cheap one because it gets pretty beat up by the shells). I've put them in a bowl solo and also combined with fruits, oatmeal, meat or whatever scraps I'm bringing them that day-it doesn't last long cuz they love it!